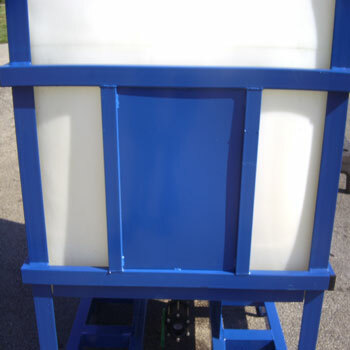 Rotational molding yields durable long lasting parts. Polyethylene construction compatible with many chemicals and materials, while safe for food grade applications. 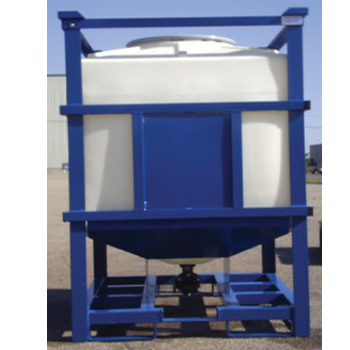 Long lasting, re-usable Intermediate Bulk Containers allow for continued use in a wide variety of harsh environments and applications. Steel frame manufactured in-house for maximum cost effectiveness. IBC frames are powder coated and available in a variety of colors. Frame customization also available. Smooth interior surface and hoppper bottom allows for maximum amount of material discharge. 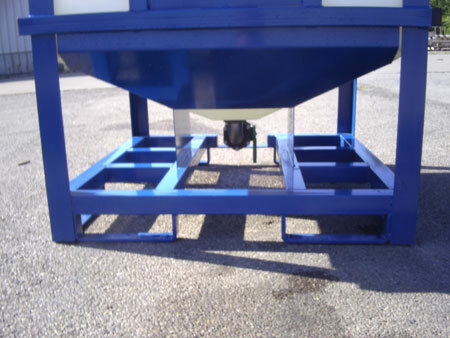 33 or 45 degree hopper bottoms offered in both 330 or 400 gallon Intermediate Bulk Containers. Choose side or bottom discharge to best fit a particular application. Available in 330 or 400 gallons. Choose 33 or 45 degree hopper bottom slope, side or bottom discharge, four way forkliftable or pallet jack access. Add additional components such as mounting plates, bulk head fittings and more to suit your custom intermediate bulk container applications. Purchase materials in bulk and disperse easily as needed to save time and money. Increase operations efficiency with reusable intermediate bulk containers, allowing maximum return on investment against disposable and 1-way totes. Granger Plastics is a leading supplier of Intermediate Bulk Containers, more commonly known as IBC's or totes. These containers vary in use from chemicals and fluids, to dry goods such as food ingredients to construction materials.. The multiple use containers are extremely durable and come in a powder coated steel frame, which allow them to be stacked for warehouse storage or to easily empty the contents of one container into another! 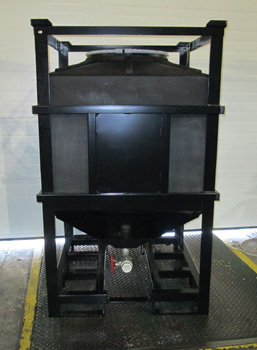 Granger Plastics Company manufactures IBC’s completely in-house rotationally molding the container and utilizing its metal shop to fabricate a customizable steel frame. 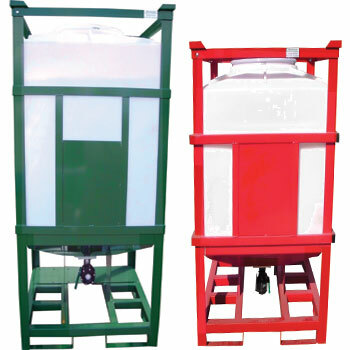 These totes are regularly available in 330 gallon and 400 gallon sizes. 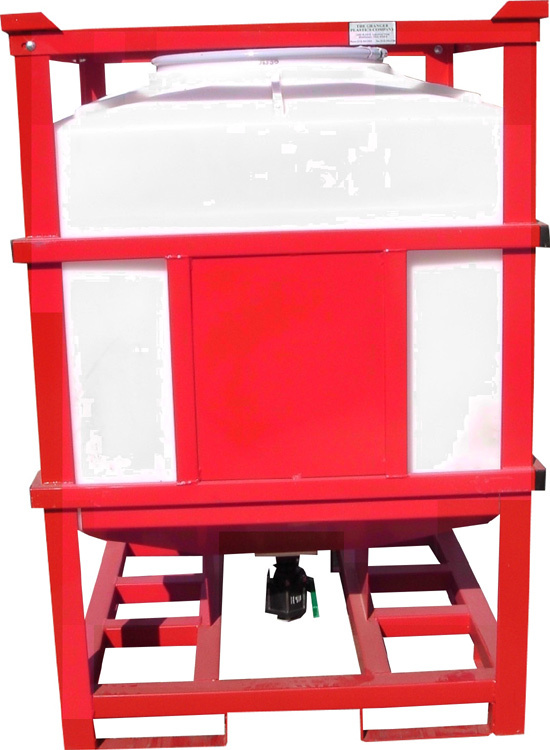 Long lasting rotationally molded tote has a smooth sloped interior surface for maximum material discharge. Many features can be customized to best suit a particular application such as 33 or 45 degree slope for discharge as well as choosing bottom or side discharge for the unit. Granger IBC’s are also available as four way forkliftable or with pallet jack access. Natural material allows translucency to gauge material levels while maintaining wall thickness of 3/8” for extra durability. 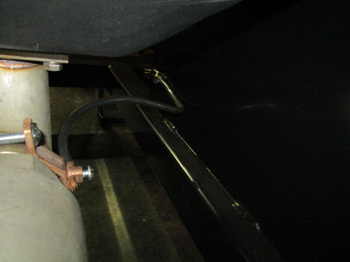 Granger IBC’s also feature a 23” opening for easy access and easy cleaning. IBC containers can maximize efficiencies and profits for companies utilizing bulk materials or chemicals. High quality long lasting containers made to fit an exact purpose can save both time and money. 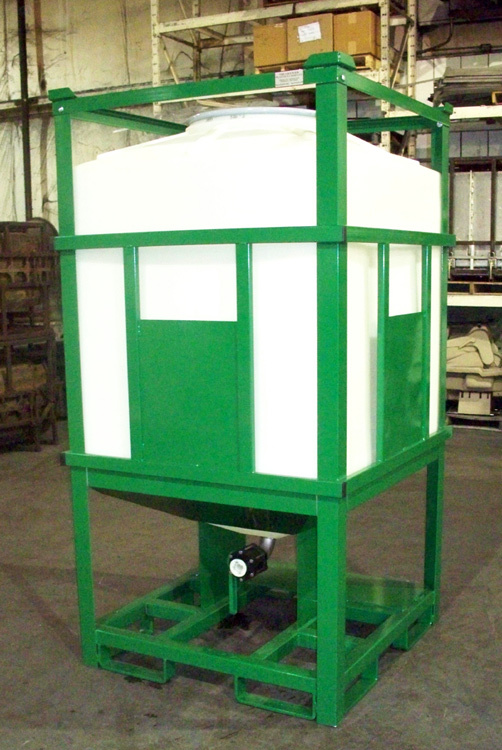 Custom intermediate bulk containers can also be designed and manufactured for specialized purposes. 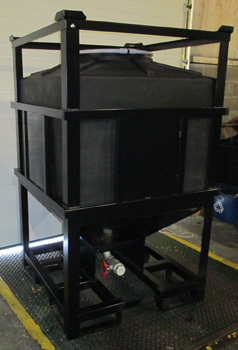 Let Granger Plastics Company help your business develop an IBC system that works most effectively for your application! Granger Plastics IBC's are stackable for use and storage! Intermediate Bulk Containers that feature conductive properties are used in wide variety of applications ranging from chemical solvent manufacturing & mixing, distribution of paints and a wide variety of additional industrial applications. These units feature a rotationally molded tank of a very special nature. 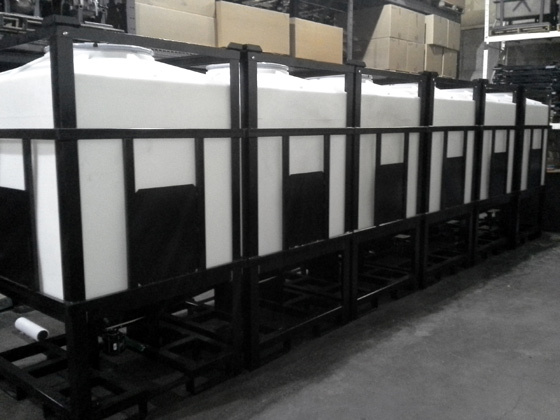 The tank is molded from a special poly material with conductive properties. 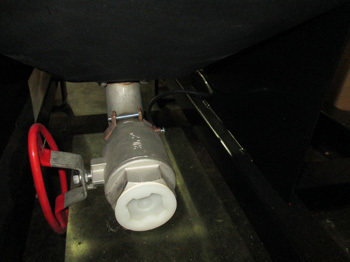 The unit features a stainless steel valve and an additional ground strap from the valve to the frame of the unit. 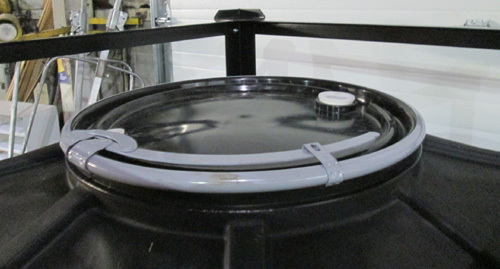 See the Conductive IBC tote gallery below for more images of a Conductive Intermediate Bulk Container. 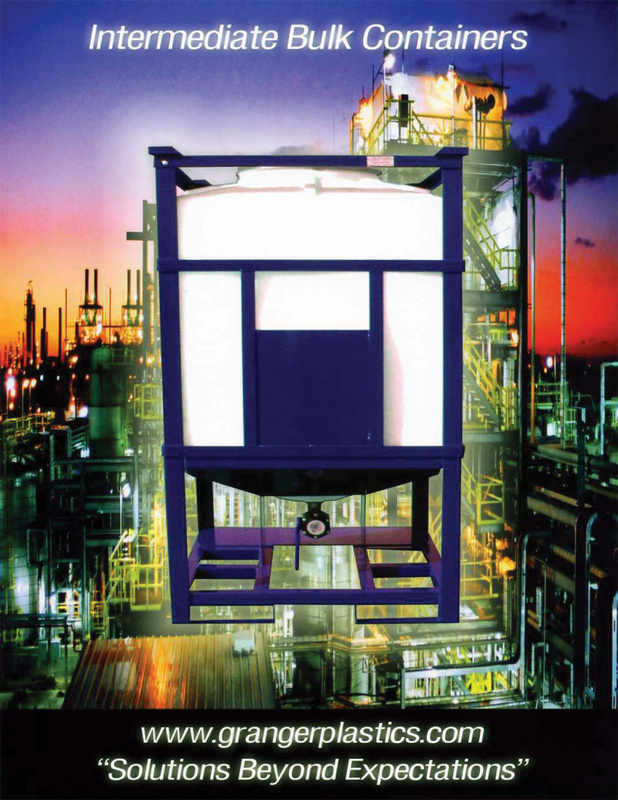 Available as a Conductive Intermediate Bulk Container for static and safety concerns.